Vintage drive-in theater, open since 1953. Honor. 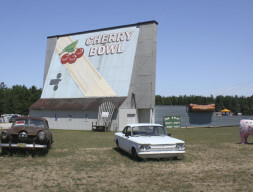 231-325-3413, www.cherrybowldrivein.com.